Nature Nurture has been nominated in the Business Environment category for the Pride of Reading Awards. An organisation which encourages youngsters to care about the town’s parks, woodlands and waterways has been nominated for a Pride of Reading Award . 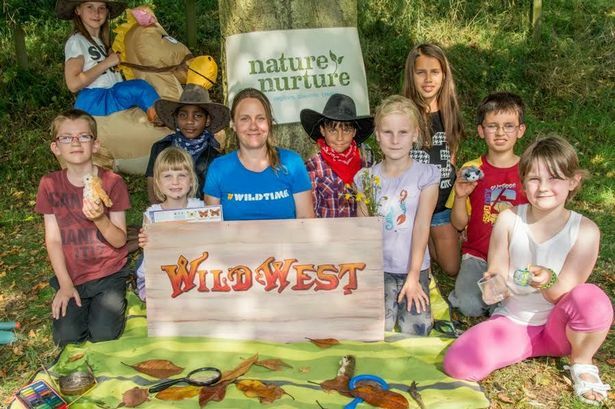 Nature Nurture in West Reading could scoop the Business Environment Award after being nominated by an anonymous well-wisher impressed with how the organisation works with schools, heritage groups and conservationists to teach children about nature, conservation and art. Sponsored by Barton Willmore, the Business Environment Award recognises local businesses that have developed an innovative idea that promotes excellent environmental understanding among their staff and/or community, which has had an overall environmental positive impact. Founded in 2011 by Natalie Ganpatsingh, 44, Nature Nurture encourages children and young people to participate in the creative arts, explore and play a part in their community, learn about their role as global citizens and engage with the natural environment. Through workshops, community projects and learning resources, the company aims to “nurture active citizens who respect themselves, each other and the world around them”. When told of Nature Nurture’s Pride of Reading nomination, Mrs Ganpatsingh said: “For the last five years we’ve been connecting the people of Reading with the wild places in our town. On what makes her most proud about Nature Nurture, the mum-of-two said: “I’m proud of how far we have come in five years; building from a spark of an idea to reaching around 3,600 children and young people in Reading last year. “I am proud of my team; the forest school leaders, environmental educators, artists and musicians, all with such dedication and positivity to ignite the spark of nature in our children. On what she finds most rewarding about helping children to engage with the natural environment, she said: “When I was a child I was lucky to spend most of my time outdoors. This is not the case for many children today. I’ve seen first-hand how being out in nature positively transforms children – there is endless scope for physical activity, play and learning. “We see children who are challenging in the home or classroom behave really well outdoors, and they love getting stuck into conservation activities such as tree planting, creating pathways, litter picking and making bug hotels. Set up as a Community Interest Company (CIC) to benefit the community, any profit made by Nature Nurture is put back into the organisation to further its work. “Around 80 per cent of our income is through grants, with our first grant awarded from Reading Borough Council’s Cultural Partnership,” explained Mrs Ganpatsingh. Since then, Nature Nurture has received funding from The Earley Charity, Comic Relief, The Health Lottery, The Arts Council, Awards for All, Get Berkshire Active, Catalyst Housing, Tesco and local companies Dialog and Olswang and Intelligent Health. To find out more, visit www.nature-nurture.co.uk .